Saw this cartoon and thought that it was so sweet, I had to share. 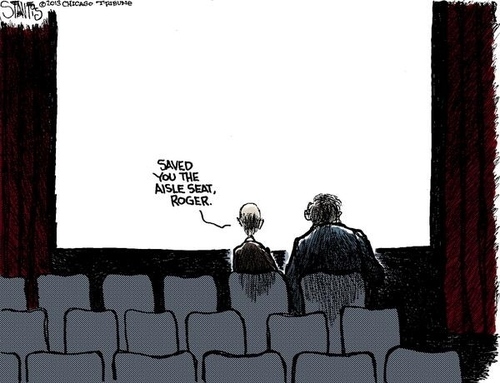 Goodbye Roger Ebert. We'll miss you. I'll be eating a big bag of popcorn in your honor next time I go to the movies. Such a sad story! I knew I hadn't seen him in a long time, but didn't realize he was so sick. He had such a great attitude...so sad! He did! It's really sad, the end of an era. Garden stools in the bathroom a do or a don't?